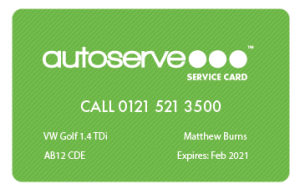 Whether you’re looking to cover a single vehicle or a large fleet of vehicles, a Service Card is a great benefit. Firstly there is confidence knowing that your vehicle will be booked into one of our 16,000 approved garages across the UK as well as receiving the service at a discounted rate. The service card will also provide you with peace of mind knowing that you’ll have access to our 24 hr driver helpline as well as being able to add-on a range of optional extras for further peace of mind.